Truckee, CA - The Tahoe-Truckee region is known for a lot of great things and now you can add innovative entrepreneurs to the list! 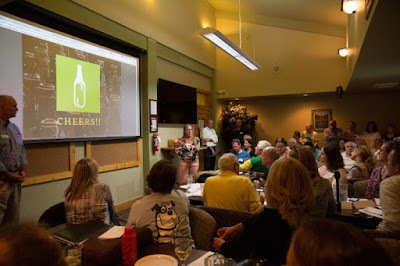 Six local founders presented their companies at the Tahoe Pitch Showcase on Monday, September 11th to a packed house at Tahoe Donner's Pizza on the Hill. The event, produced by Tahoe Silicon Mountain (TSM) and Sierra Business Council - with the support of generous local sponsors - was held during the TSM's Mountain Minds Monday meeting and attracted over 100 people in person, dozens streaming from home and even more at 2 simulcast locations in Reno. "Our goal was to help build local entrepreneurial spirit by showcasing some of the amazing work being done here in Tahoe and to encourage people to pursue their business ideas," said Rachel Arst McCullough, lead organizer of the Pitch events and co-founder of Tahoe Silicon Mountain. "An important part of these events and TSM in general is fostering a strong and supportive entrepreneurial culture with the ultimate goal of creating a more diverse and less weather-dependent economy, so that we can all continue to live, work and thrive here." 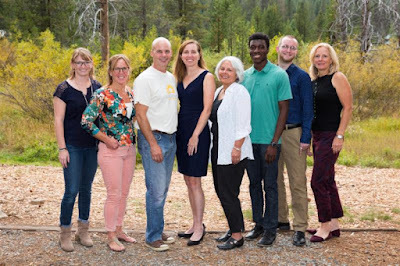 The event featured six finalists from the 18 who participated in Tahoe Pitch Camp, an intensive, month-long workshop led by Sierra Business Council, designed to help participants refine their business model and create a "pitch deck" to deliver to potential investors. Participants benefitted from the expertise of eight experienced coaches, helping them refine their messaging, question assumptions, review financial projections, and critique the overall quality of their delivery. Pitch Camp participant Trina Gold of Bigwater Studios said afterwards, "I have been working on this expansion for six years and the only thing holding me back was having to pitch my proposal.Your help and guidance has given me the confidence to begin this journey." On the final night of the Camp, the entrepreneurs competed for one of six spots to deliver their pitch at the Showcase. "The competition was tough," said Jan Holan, Pitch Camp coach, entrepreneur and investor. "I was so impressed with the commitment and quality of the business models but ultimately that made selecting the finalists quite difficult." Community Yogi, an app designed to disrupt the home yogi market by matching community spaces with freelance yoga instructors. Conscious Container, a reusable bottle business, reducing carbon footprints one craft beer at a time. Eddy Bowl, a convenient, reusable, compostable water bowl for dogs. Fate, a "choose your own adventure" story app. KeepOnMovin', a mobile health solution designed to help physical therapy patients do their exercises at home. Correctly. Every day. LuDela, a social venture candle company, using better light to create better lives. At the Showcase, the finalists had five minutes to present their best pitch to a panel of three judges. The presentations were followed by five minutes of questions from the judges and audience. "It was so awesome to see how polished all the entrepreneurs were. 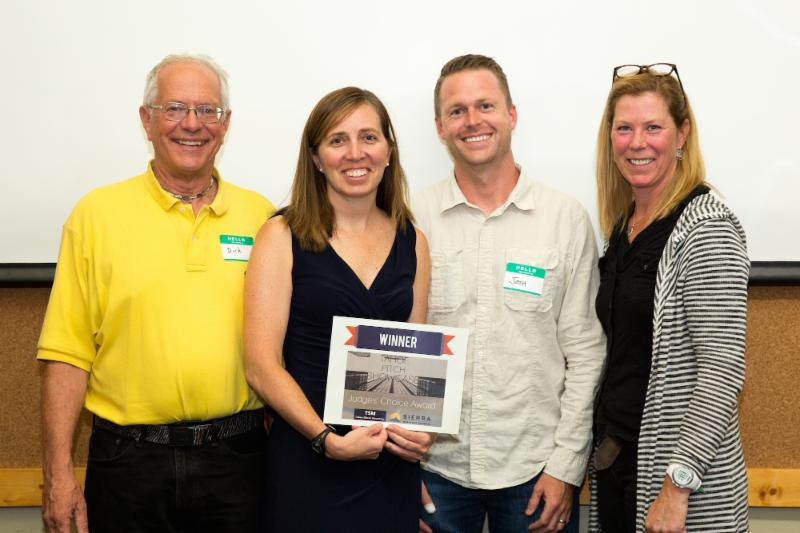 It is a testament to hard work and preparation for something you believe in," said Kristin York, Vice President of Sierra Business Council and facilitator of the Pitch Camp. "We have been working with some of these founders since their companies were just an idea. Now, they are on stage inspiring a room full of people with their tested business models, cool products and compelling missions. I absolutely loved Showcase night!" Ultimately, the judges selected KeepOnMovin' as the winner, based on the company's strong traction in the market and their ability to scale. KeepOnMovin' was pitched by Ellen Raynor, and co-founded by Mark Feinholz and Truckee local, Scott Williams. "What was different about the Pitch Camp was that local company founders viewed each other less as competitors than as peers that were interested in helping one another succeed," said Raynor. "In fact, KeepOnMovin' has refined our products with local patient input and is excited to be expanding both within Truckee and with large employers elsewhere in the country. We appreciate the professional acknowledgment of our progress and the vote of confidence that we are poised for growth." Honorable mention went to Jamie Bianchini's business, LuDela. The People's Choice award went to the Eddy Bowl team of Carol Piechocinski, Ramona Cruz, Linda Slack-Cruz, and Darilyn Kotzenberg. Eddy Bowl was voted the product that the audience was most drawn to. 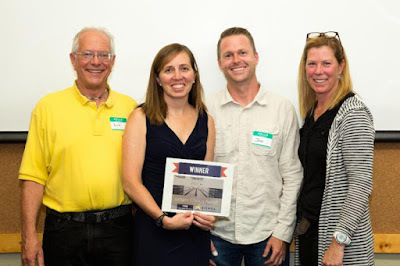 Both winners were awarded prizes from a variety of local businesses including W&T Graphix, Sierra Pacific Coffee, The Roundhouse, Nina Photography, Big Water Studios, Banibands, the Reno Collective, Girlmade, and the Truckee Chamber of Commerce. Now that Pitch Showcase organizers have had time to reflect, both Tahoe Silicon Mountain and Sierra Business Council are looking to what's next for the entrepreneurial community in Tahoe. Perhaps the most important outcome from the Camp and Showcase is that the stage is set for organizing both an angel investor group and mentoring network in our community, and for recruiting sponsors to offer prize money for marketable ideas at future Pitch Showcases. These efforts will serve to help eager entrepreneurs succeed here without having to move to the Bay Area to reach the next level. 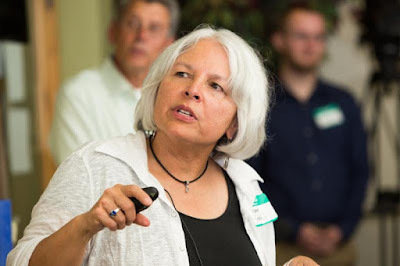 "We are always looking for ways to improve and increase support for local businesses and we encourage anyone interested in doing the same to contact Tahoe Silicon Mountain or Sierra Business Council and we'll get you on board," said York. "Exactly," added McCullough. "We've built so much momentum in seven years with TSM, and the Pitch Showcase raised the bar. Truckee is full of talent and we are dedicated to supporting entrepreneurs in any way we can." Details will be available soon for expanded programming and support for entrepreneurs through Sierra Business Council's Small Business Development Center, including adding a series of workshops in 2018 specific to business planning and pitch deck creation. Two additional monthly free TSM events are held at the The Lift in Truckee: First Friday at Five is an entrepreneurs' roundtable, where entrepreneurs connect and support each other to grow their businesses on the 1st Friday of each month at 5pm and TahoeJS is a friendly gathering of software developers of all levels who meet to drink beer and talk code on the 3rd Tuesday of each month. Learn more about TSM events by signing up free here: http://bit.ly/TSMEmail. To watch a recording of the entire Pitch Showcase, check out the video on Tahoe Silicon Mountain's YouTube channel: https://www.youtube.com/watch?v=nqeEARjfiyg.